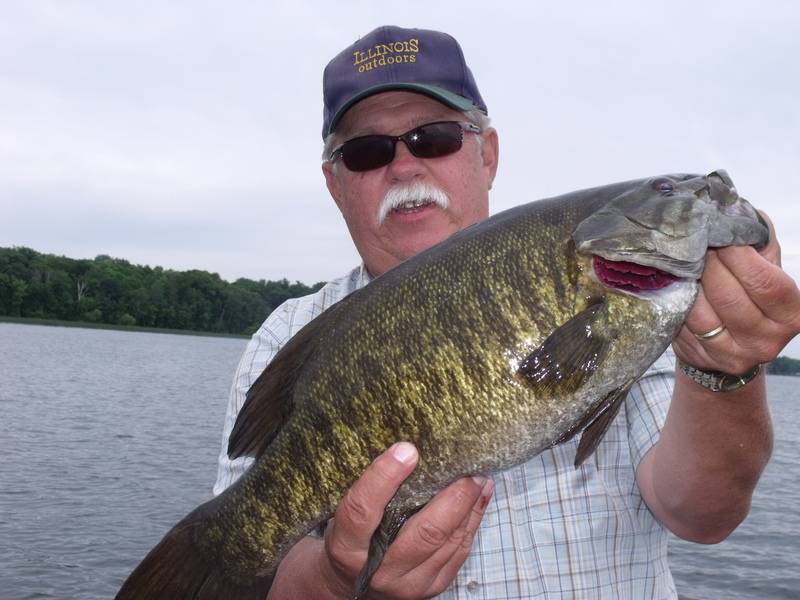 Illinois Outdoors TV Show host Don Dziedzina with a nice Smallmouth Bass caught during the taping of an Illinois Outdoors TV Show, now seen at 8 AM on Saturdays on the Total Living Network. Illinois Outdoors TV has moved to a new time. It's now on at 8 AM on Saturdays on the Total Living Network following Midwest Outdoors. The show is on Comcast and Insight Cable systems on channel 67 and 138. There are new shows on the schedule and more new ones in the making this spring and summer.